Traditional lenders like banks rarely offer unsecured business loans. However, online lenders can fund loans with no collateral requirements in as little as 24 hours. To make the best decision when applying for an unsecured business loan you should consider why you need the funds, overall costs, minimum qualifications, documentation requirements, and the application process. An unsecured business loan from OnDeck is a great option for short-term working capital. It offers repayment terms of up to three years, rates starting at 9%, and loans up to $500,000. Get prequalified in minutes with funding as soon as 24 hours after approval. 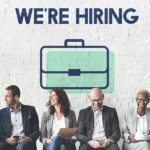 There are five steps you should follow when considering how to get unsecured business loans, which include identifying the reason for the loan, considering the costs and terms related to the loan, verifying the ability to meet the minimum requirements for the loan, gathering all necessary documentation, and then applying for the loan. Unsecured business loans are best to finance short-term capital needs because their repayment terms are typically limited to three years and require daily or weekly payments. The best unsecured business loans also allow you to get access to funds in one to three days but may not be the best option for every business. To make a well-informed decision about when to use an unsecured business loan, it is important to understand exactly what it is and when it is the best option for your business. 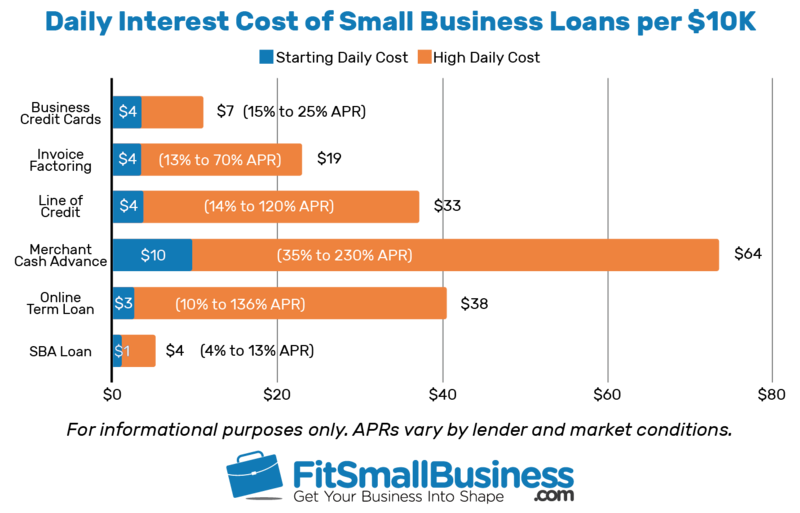 Some small business loans may have longer funding times or higher requirements but can provide better overall rates for your business. Typically, traditional bank loans require collateral in the form of real estate, equipment, or other business assets to get approved. With unsecured business loans, lenders do not require collateral relying instead on a Uniform Commercial Code (UCC) lien and a personal guarantee. This means approval for these loans is based solely on your credit score and business performance. 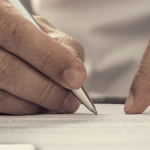 Although you are not pledging any collateral, the personal guarantee enables lenders to go after your personal assets in the event of default. In addition to a personal guarantee, the UCC lien covers all business assets, including accounts receivables and inventory. You should ensure that you understand the risks involved in getting an unsecured business loan before applying. An unsecured business loan is typically used to cover short-term financing needs if you have poor credit, lack collateral, or are a new business. However, you need to have a good understanding of how quickly you can repay the loan because most unsecured options need to be repaid in less than 36 months. In addition to the short repayment term, you will also have to make frequent payments. Most lenders require daily or weekly payments that are often taken directly out of your business bank account. It’s important to ensure that your business has sufficient cash flow to repay the loan, without going into the negative. Combined with the high costs ranging from 9% to 100%+ annual percentage rate (APR) for an unsecured loan, the short repayment terms can have a large impact on your cash flows. If you have assets available to pledge as collateral like equity in real estate, it’s very unlikely that you will qualify for an unsecured loan to finance equipment or real estate. Additionally, lenders that partner with the Small Business Administration (SBA) are required to get as much collateral as possible and will typically not consider an unsecured loan if there is any collateral available. You should consider an alternative to an unsecured business loan if you have larger funding needs or need longer repayment terms. This will save you money in the long run due to the lower interest rates and allow you to manage your cash flow better. Additionally, if you can wait 30-90 days to get funded consider an SBA 7(a) loan for the best rates and higher loan limits. However, if you need access to capital quickly or are unable to qualify for a traditional alternative OnDeck offers the best-unsecured business loan. You can apply in just 10 minutes online for up to $500,000 with terms as long as 36 months. Approval decisions are made the same day, and you can have access to your funds in just 24 hours. The costs of an unsecured loan will typically range from 9.99% to 100%+ APR, which is higher than most traditional secured loans. Your APR will vary depending on the origination fee, interest rate charged, and the total length of repayment for your loan. Although an unsecured loan is more expensive than a traditional loan, it is typically lower than a merchant cash advance, which can exceed 200% APR. An OnDeck unsecured business loan is among the best online options available to borrowers without collateral. Their overall APR ranges from 9.99% to 100%, they offer terms up to three years and daily or weekly payments. In addition to this OnDeck also offers a wide range of loan amounts, up to $500,000. Unsecured business loans typically carry higher maximum costs than their secured traditional counterparts and other alternatives like business credit cards, or a line of credit, and invoice factoring. Typically, the daily interest cost of a $10,000 unsecured term loan ranges from $3 ― which is similar to most loans ― to $38, which is slightly higher than most alternatives except merchant cash advances. The high upper limit of the term loan APR is due to the longer repayment terms over alternatives like invoice factoring. When receiving the entire loan amount up front, the lender is typically taking a greater risk, especially if the loan isn’t backed by collateral. An example of a collateralized loan is an SBA loan, which typically costs as little as $1 to $4 in interest per day on a $10,000 loan. The minimum qualifications for an unsecured business loan will vary depending on the kind of financing you are getting. Typically, more expensive financing has lower qualifications and vice versa. These requirements include minimum personal credit scores of 600 and higher, time in business of at least one year, annual revenue of $100,000 or more, personal guarantees and blanket UCC filings. Collateral & personal guarantee: Typically, a blanket UCC filing and personal guarantee are required for the loan. This gives the lender the right to go after your business and personal assets in the event of default. Furthermore, it may also restrict you to working with a single lender because each will want to have the first claim in such an event. Typically, loans that don’t rely on credit card repayment or outstanding invoices will have a high credit score requirement. However, OnDeck’s 600-plus score requirement makes it very accessible. You can apply online in 10 minutes for up to $500,000 with OnDeck and get funded in as little as 24 hours. With traditional lenders, you would typically need extensive documentation including, business plans, tax returns, and financial statements to get approved for a loan. This is in addition to multiple trips to the bank, revisions, and prolonged procedures. With an unsecured business loan provider like OnDeck, documentation requirements are minimal and can be done in a few minutes. The first three requirements are simple to have in place as you typically need this information frequently and should have it available. Where OnDeck excels is the last requirement. Rather than printing, scanning, faxing, or e-mailing your bank statements, you can link OnDeck to the account, and it will do the rest. Applying online for an unsecured business loan will typically take about 20 minutes or less. It can be done even more quickly if you have documents and information prepared. Compared to a traditional lender that takes weeks or months to get funded, an online lender can have your funds available in as little as 24 hours. With up to $500,000 available in financing as soon as the next day, you can fund almost any working capital need with OnDeck. Interest rates start at 9% with terms up to three years, which makes filling out a 10-minute online application an easy final step to getting an unsecured business loan. When making a financing decision, it is important to consider some benefits and risks of using an unsecured business loan. Although there is no collateral requirement, you will need to give a personal guarantee for the loan. Additionally, the application and funding time is much shorter for an unsecured loan, but it is also a more expensive option. In highlighting the steps to get an unsecured business loan, some readers will find that they are unable to qualify or would like more information about alternatives. If you’re unsure how much financing you need, or you require several smaller loans, you should consider an unsecured business line of credit. There are other working capital loans that might fit your business and business credit cards that are useful for day-to-day expenses. In this article, we have done our best to cover how to get unsecured business loans. However, as with any instructions, some questions are asked more frequently than others, and we have tried to address those here. If we have not answered your question, feel free to share it with us in the FitSmallBusiness forum, and we will provide an answer. Can I Get an Unsecured Business Loan for a Startup? While most banks and traditional lenders will require collateral for a startup loan, well-qualified borrowers may qualify for unsecured startup loans. Some options include personal loans, credit cards, and loans for family and friends, which don’t require any collateral. What Happens If You Default on an Unsecured Business Loan? Defaulting on an unsecured business loan gives your lender the option to pursue your personal and business assets. Before default, you may be assessed additional fees and have your interest rate increased for future payments. If the lender decides that your debt is in default, your debt may be turned over to a collection agency. Is It Better to Get a Secured or Unsecured Business Loan? When considering a secured vs. unsecured business loan, the intended purpose and cost of the loan are important factors. Secured loans are more affordable because they are backed by collateral like equipment or real estate. However, for working capital expenses and no collateral, an unsecured loan is the best option. The first step when considering how to get unsecured business loans is to understand how the funds will be used and the overall costs. Then, if you meet the minimum requirements, you should submit an application with your chosen provider. Your chosen provider should offer terms that match your funding needs at a reasonable cost with a quick application. OnDeck does just that. It offers repayment of up to three years for up to $500,000. Its minimum requirement of at least 600 for a credit score and 9% starting interest rate make the loan accessible. Its application can be filled out online in just 10 minutes, with funding deposited in your account in as soon as 24 hours. Dennis Shirshikov is a Small Business Finance Writer at Fit Small Business. Dennis earned an MS with an emphasis in Financial Risk Modeling and spend most of his career working with startups. When not helping small businesses and teaching Economics, Dennis loves spending time with his family, reading, and exploring New York City.